A profusion of long lasting blooms that appear in late fall and early winter are what make camellias truly special. The double flowers of award-winning camellia ‘Chansonette’, are lavender pink and perfect for cutting and bringing indoors. The evergreen foliage is glossy and deep green. ‘Chansonette’ has a spreading, pendulous growth habit, only growing to about three-feet high, but will can grow to around eight-feet wide. Blooming best in partial shade, it should be located away from harsh afternoon sun. After flowering is finished, pruning may be done to control the size and shape. Camellia plants thrive in acidic, organically rich, well drained soil and grow best when planted in a protected spot so that cold winds will not destroy developing buds. ‘Chansonette’ is an excellent choice for a woodland garden or can be used as a low hedge, groundcover, or even an espalier in a container or planted directly into the landscape. 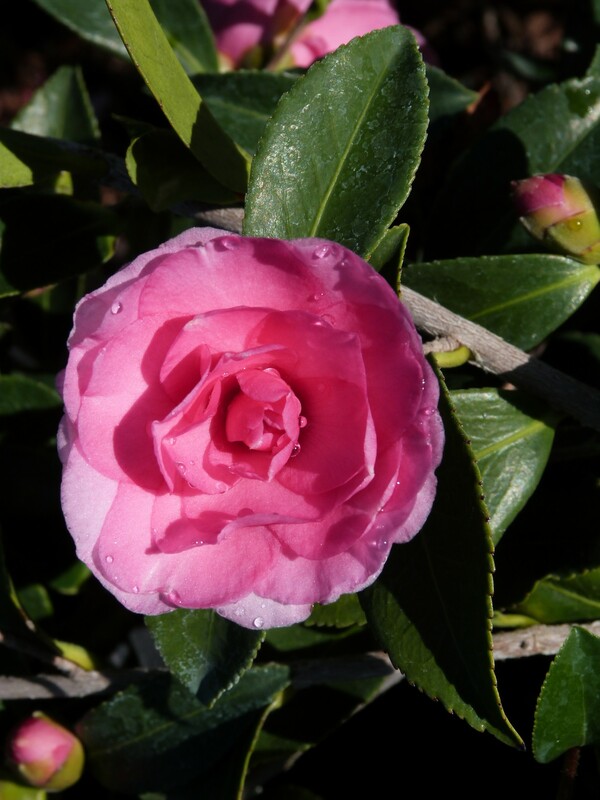 Relatively free of pests when healthy, camellias are occasionally affected by aphids, scale insects and vine weevil. Copyright 2019 © T-Y Nursery, Inc. All Rights Reserved.